If you are about to make the smart decision to add a deck onto your Chicago home, you are going to be glad you finally moved forward with it. Not only does this add to your personal enjoyment of your own home, it is key for adding value to your home, which also happens to be your biggest investment. The important thing is to make sure that you make the right decisions when it comes to your deck, including choosing the right professional to work with to get the job completed. One of the most important things to take into consideration is the size of the deck that you need. The good news is that even smaller yards can have a deck it is all about working with the space that you have. Of course, just because you have a bigger yard doesn’t mean that you want to fill it to capacity with decking. Decide what you want to use your deck for and how much maintenance you are willing to invest; these two factors can really help you decide what size to make the deck. Another thing you have to think about is how you can access the deck. The more of a challenge it is to access the deck or go in and out but end up letting bugs in, the less likely you are to use it. If you are adding a deck purely for the purpose of increasing your property value then that is fine but if you actually intend to make use of it, then plan to make accommodations for this. It might mean transforming your current door system into something more user-friendly, such as sliding glass doors. You should also be aware of the safety features that you may need to add, based on the type of deck and location. Obviously you need and guard / hand rail. If you have a deck that is suspended over water or has some distance between the deck and the ground then you need something to prevent people or pets from possible falls and injuries. By working with an industry expert you can rest assured that you will get the service you need. 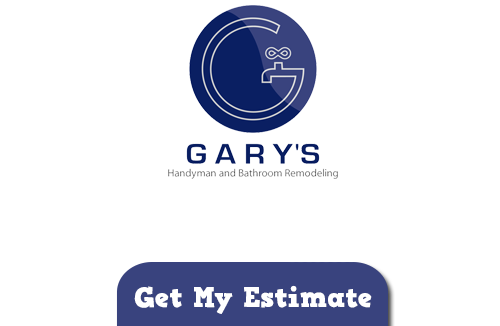 Chicago locals will tell you that the only name that you need to know is Gary’s Home and Bathroom Remodeling. We have the training, skills and experience needed to get the job done and provide you with the best results possible. Give us a call today to start discussing your possibility for decks. We look forward to working with you and providing you with the quality work and results you need. 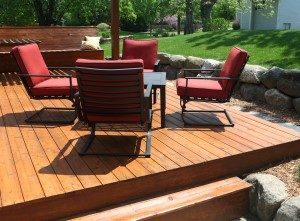 If you are looking for a Deck contractor in Chicago then please call 847-800-4279 or complete our online request form.